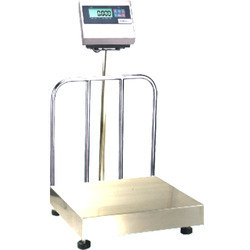 Leading Manufacturer of platform scale, stainless steel platform scale, 4 load cell chequer platform scale and flame proof platform scale from Surat. 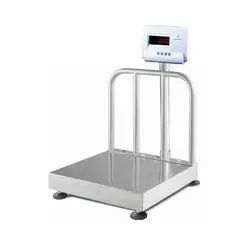 High resolution up to 15,000 to 100000 counts. Rugged construction is suitable for an industrial environment. Heavy MS pipe, Angle, C-channel fabrication with a color coating. Heavy SS pipe, Angle, C-channel fabrication with colour coatting. Rugged construction was suitable for an industrial environment. Rugged construction is suitable for Hazardous environment. 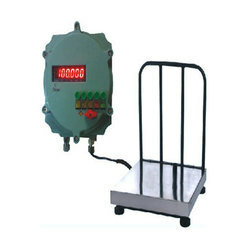 All models are Certified by CIM FR (Dhanbad) for use in Hazardous Areas. High Contrast Bright RED/GREEN Big LED Display. High resolution up to 1.00,000 to 5,00.000 counts. Built-in rechargeable battery for continues use (optional). Rugged construction suitable for industrial environment. One year warranty provided for any manufacturing defect. 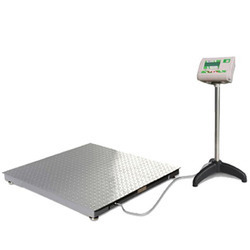 Looking for Platform Scales ?